There are various start times throughout the year and this programme will take a minimum of 16-24 months to complete. You will achieve a Level 3 Diploma in Playwork. As a playwork apprentice you will go through a structured training programme that teaches all aspects of play, working alongside experienced staff to learn the skills you require. 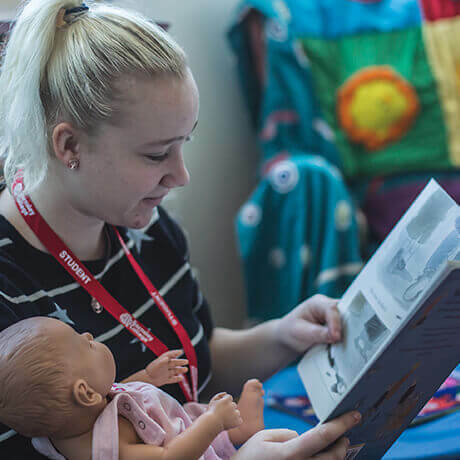 You will study all 13 mandatory units, totalling 46 credits, and two to three units totalling a minimum of 19 credits from the optional units, to achieve the 65 credits from the CACHE Level 3 Diploma in Playwork. Learners must also achieve eight credits from the three mandatory units of the CACHE Level 3 Award in Employment Awareness in Active Leisure and Learning. The remaining 10 credits must be achieved through the completion of Level 2 Functional Skills in English and maths. You will be assessed by using a portfolio of evidence, observations in the workplace and assessment tasks. You will be assessed both in college and in your place of work. The course is an E-portfolio using OneFile, access to a computer/laptop and the internet will be required. If this is not suitable, a paper- based portfolio could be accessed.